"You shall love the Lord your God with all your heart and with all your soul and with all your might. And these words that I command you today shall be on your heart. You shall teach them diligently to your children, and shall talk of them when you sit in your house, and when you walk by the way, and when you lie down and when you rise." Welcome to First Baptist Academy of Baytown. We are grateful for your interest in quality, Christ-centered education. 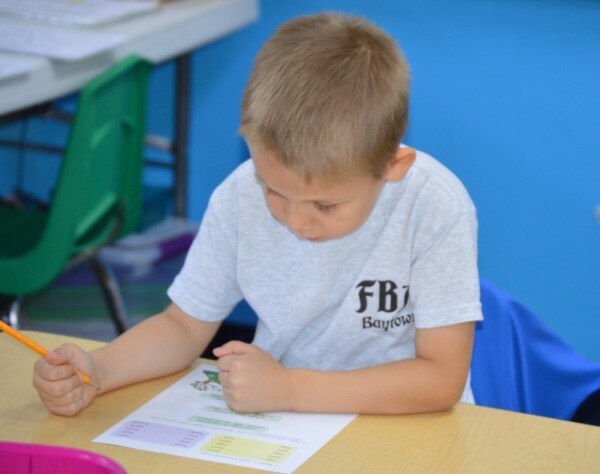 FBA is committed to helping each student maximize his or her God-given academic potential and to fanning the flames of righteousness, faith, and leadership within each child. At FBA, you will find teachers who love your children and teach with enthusiasm and excellence. 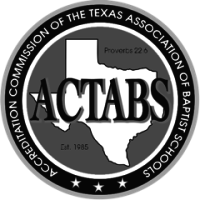 Our faculty and staff are committed to providing a challenging, Biblically-based curriculum for each child. You will discover a warm, safe, and nurturing Christian environment. 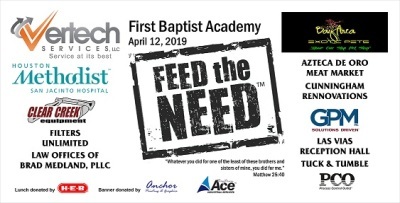 If you are not already one of the wonderful FBA families, we invite you to discover the opportunities God has for you and your children at First Baptist Academy. Please contact our school office to find out more about First Baptist Academy---where the Falcons soar. See the difference at First Baptist Academy! Each class at FBA has a maximum enrollment of 15 students. Children are taught to love and respect God and His Word. They learn that the BIble and Christian values relate to every area of life. Students receive individual attention and encouragement. The basics of reading, writing, and arithmetic are emphasized. In a Christian atmosphere, students are free from excessive, ungodly, peer pressure and therefore, relax and prosper socially and spiritually.